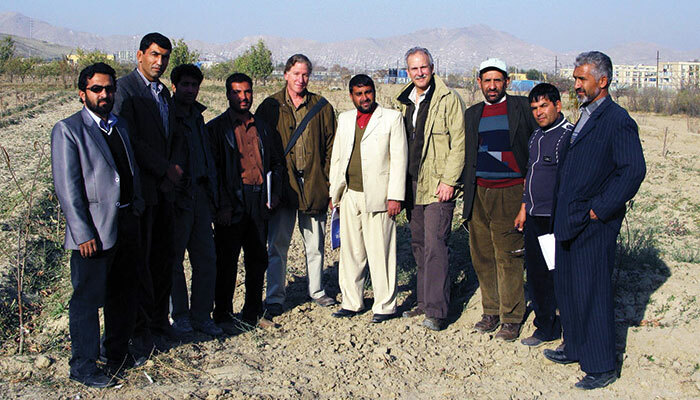 Funded by a USAID grant, the Agricultural Research and Extension Design and Implementation Team, led by UMD professor Jim Hanson, traveled to Afghanistan to revitalize the country's agricultural research and extension services. A variety of government agencies, international organizations, and private foundations provide funding for globally oriented research. UMD’s Division of Research subscribes to the SPINPlus database of funding programs, and OIA will be compiling there a list of funding opportunities that are internationally focused. European Union Visitors Program provides young professionals with a unique opportunity to learn from the inside how the European institutions work. Participants meet with specialists in fields of their choice as they follow extensive programs tailored specifically to their interests in the EU. American-Scandinavian Foundation Fellowships and Grants offer fellowships and grants to individuals to pursue research or study in one or more Scandinavian countries for up to one academic year. The program is open to graduate and post-graduate students in all fields. International Scholarships for Non-Canadians offer a variety of opportunities to students and scholars to do research work in Canada, or about Canada. American Institute of India Studies Fellowships are available to doctoral candidates, post-doctoral scholars, and accomplished performing and creative artists who demonstrate that study in India will further their research or performance skills. Fellowships are available for anywhere up to 11 months, depending on the program of study. The Taiwan Fellowship offers doctoral students and faculty experts interested in topics related to Taiwan, cross Taiwan strait relations, mainland China, and the Asia Pacific or other aspects of Sinology an opportunity to conduct advanced studies at Taiwan’s universities or research institutions. Woodrow Wilson Center Fellowships and Grants offer nine-month residential fellowships for interested scholars to conduct research and write in their areas of expertise, while interacting with policymakers in the Washington and Wilson Center staff. The center accepts non-advocacy, policy-relevant, fellowship proposals that address key policy challenges facing the United States and the world. Do you know of an on-going international grant program that other members of the UMD community would find of interest? Contact OIA Associate Director Joe Scholten, and he will add it to this list.